What is the best POS software for small business? The best POS software for small business is Toast POS, which carries numerous features designed to handle U.S.-based restaurants’ booking, online ordering and stocks management. This time-saving tool allows businesses to boost service quality while offering data reporting and order tracking capabilities. It drives down costs, increases revenue and enables customers to make payments through a variety of channels, making the process a lot easier for both users and clients. Are you still relying on your clunky cash register for managing all your sales transactions? Old systems are notoriously hard to use, not to mention prone to committing errors. Regardless if you’re operating a small shop or a restaurant, you would want automation to be on your side when managing sales transactions. And this is what point-of-sale (POS) software is all about. 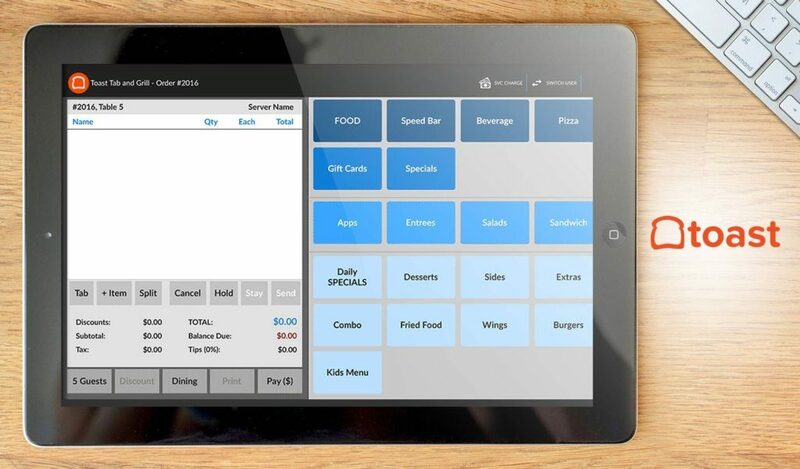 POS software works great with small business, most especially restaurants. For food establishments, fast and efficient service is paramount. Failure to quickly take and serve orders could result in lost business and bad reviews. Wrong charge, inaccurate recording of transactions and lack of visibility across sales channels also regularly hound retail and ecommerce businesses, something you can address properly with a POS system. To give you a better understanding of these systems, we will present to you the 20 best POS software currently in the market. Their features, functionalities and unique selling propositions will be discussed in detail. By the end of this reading, you will have gained a better understanding of these platforms, what they can do for your company and how to go about purchasing one. What are the 15 best POS software systems for small business? Believe it or not, POS tools can also help you with time-keeping as they come with calendars that display shifts and even record employee clock ins and outs. Another good thing about these tools is that they speed up payment among other processes, including bill splitting if you’re a restaurant, which can really take some time. They pretty much handle every process relevant to sales and service. However, POS solutions have evolved to process more than just sales transactions, they can now track inventory, report on performance and generate forecasts to name a few. These and more features make POS solutions virtual business advisors. Essentially, a POS software system can bring a lot of benefits to your business. You can realize significant returns, improve savings, enhance productivity, and get detailed information on sales condition and performance. All these translate to profitability, which is what a business is really for. The challenge is to get the right solution for your needs and, here, you’ve come to the right place. We spelled out the unique features of each solution the better for you to gauge its compatibility with your requirements. Meanwhile, if you’re looking for restaurant-specific POS software, you can check out our list of top 20 POS software for restaurants here. Toast POS is a POS solution distinctly designed for restaurants in the United States. It helps users to keep their accounts updated easily and conveniently by offering helpful features and options that they can also use to enhance customer satisfaction. You can use this single software to manage restaurant bookings, stock, and online ordering. The big advantage is you can use Toast POS to enhance your business by saving time and improving your organizational capability. You can provide quality services and also cross check them through order tracking and data reports. Toast comes with additional features that will make your sales process even easier and more accurate. With the system, online ordering is now possible, a surefire way of driving your costs down while increasing your revenue. It also allows customers to make payments through kiosks, enabling diners to avoid long queues and choose their preferred method of payment. Kitchens are also given ample time to prepare orders as kiosks can be set to place orders before payments are made. Toast’s integration with OpenTable, meanwhile, lets you reduce customer waiting times and provide guests with seats in a timely manner. You can likewise update tables between the two apps, resulting in streamlined service. You can see all the key features of this software in action in the vendor’s free demo. You can easily sign up for Toast free demo here. What is unique about Toast POS? Full restaurant management. Streamlines front-of-house and kitchen processes aside from providing sales reports, menu reports and customer reports. Subscription-based pricing. Flexible pricing options allow the addition of modules as your business grows. You can also avail of the bundled hardware with a one-time purchase. Tablet-based. Allows multi-tasking mobility such as taking orders, marking stock outs. Adding or removing menu items, and the like. Customer-friendly. Through the tablet’s interface, customers can pay bills, sign receipts and even offer tips for convenient cashless and paperless transactions. Vend is among the top iPad POS platforms in the market today, which is widely used by retail stores to handle their customer, sales, and inventory management tasks. Flexible and reasonably priced, this app can be personalized to suit your preferences. It offers data entry options using either keyboard and mouse or touchscreen as well as customizing your POS screen to allow access to your most used items or features. Vend has acquired new features with its integration with eCommerce tool WooCommerce, offering online sellers numerous benefits. The tool now provides users both in-store and online sales that are tailored to their individual needs. It suits retailers that are inventory-based, customizing the way they conduct eCommerce. With the software, you get to manage your sales centrally with the platform syncing customers, sales, inventory and products between the apps. It also accommodates Instagram and Facebook users, making them potential paying customers. The vendor offers a comprehensive free trial to get you up to speed with the features. You can sign up for a free Vend trial here. What is unique about Vend? Compatible across devices. This platform can be used online, with PC or iOS. You can synchronize your data using any of these operating systems in the cloud. Scalable and configurable. Vend works with numerous business applications and you can integrate new functionalities as your business requirements expand. Works offline. Even if you go offline, this platform will instantly synchronize all your transactions once your connection is restored. Integrated online store. Easily and quickly set up a completely customizable online shop on your own without any training necessary. With only a single click, you can put your products online. Multi-task management. Users can utilize numerous features for managing customer information, dashboards and reports, promotions and pricing, main product catalog, orders, inventory, and cash. TouchBistro is created with the food service business in mind, which is why it’s among the most widely-used POS platforms by coffee shops, bars, fine dining, deli, restaurants, food trucks, and other similar shops. Cloud-hosted and runs in iOS, this platform is designed to help food businesses provide fast and efficient service. Created with the guidance of restaurant experts, TouchBistro is more than an average POS as it can help you manage various segments of your restaurant simultaneously, design an efficient floor layout, take orders per table, and easily transfer events from one function room to another. Improvements to the system are constantly being made. The layout of its Order screen has been changed to better manage orders such as bar tabs, takeouts and delivery, which can be a pain during peak hours. A quick search functionality has also been added to the system. A bill preview window can now be accessed so that you can see what products have been ordered and information about customers. Bill totals and customer info can likewise be used in searching for orders in its search field. TouchBistro offers a great free trial for 28 days (seven days without registration plus 21 days if registered) so you can readily know if this solution is the POS you’re looking for, you can easily sign up for TouchBistro free trial here. What is unique about TouchBistro? A POS designed for restos. What sets TouchBistro apart is the fact that it is created primarily to be used by fast food and restaurants. What’s more, it is very flexible and scalable that it can provide the same level of efficiency and timeliness to the small coffee shop, a medium-sized cafe, and even to giant restaurant chains. Since it is user-friendly and reasonably-priced, SMB food establishments will likely choose this POS, while large food chains can take advantage of its add-on features and other advanced integration options. Zero in on enhancing customer experience. With this smart solution, gone are the days of the delay- and error-prone method of transferring paper-based orders to your POS. TouchBistro allows you to enter any order straight into your iPad, which is then sent wirelessly to the kitchen. Boosts staff efficiency. TouchBistro virtually empowers your team to perform all their tasks more efficiently due to its ease of use and comprehensive features. With just a few taps on the POS screen, your staff can complete many chores quickly, including taking and personalizing orders and managing tables. Mobile menu management. Restaurant owners and managers can always check on their business anytime even while on the go, thanks to TouchBistro’s dependable connection and cloud-based menu management and reporting functionality. Very stable system. You will not be subjected to any downtime due to Internet service outage because this POS operates using a local connection, thereby, ensuring non-stop operation of your business. A full-featured POS solution, Cybersys POS is designed to cater to SMBs of any type, from restaurants and jewelry stores to coffee shops and sporting goods shops. It is a flexible tool which can be customized to meet your company’s requirements. The system is accompanied by powerful hardware, including credit card readers, receipt printers, barcode scanners, cash drawers and label printers, to name a few. The software has become a staple for many small businesses requiring a fully functional POS that does not break the bank. Cybersys POS can boost corporate communication, both internal and external. This results in faster delivery of your products/services. Goals and targets can be analyzed and set using system-generated reports as a basis. You can come up with two types of loyalty programs to encourage repeat customers. Inventories can also be managed using the system, which automatically sends inventory alerts so that you get updated on the status of your inventory. The platform supports any currency while shipments can be tracked and recorded with each transaction. You can find out more about the platform’s features if you sign up for a free Cybersys POS demo here. What is unique about Cybersys POS? Inexpensive yet powerful POS tool. Despite Cybersys POS’ low pricing, it comes with all the features of your standard POS systems like eCommerce integration, reporting, inventory management and employee access management. All these are available at affordable packages, resulting in huge savings. Custom pricing plans. The vendor can create custom pricing models for individual users, who can choose all the features that they need from such a system. This ability to scale the product means that businesses get to pay only for the features that they need. It’s a flexible system. The tool, being mobile-optimized can be accessed from any device. This means that it can be used whenever and wherever it is needed. If you’re searching for a universal POS platform to address your business needs, then Square is an excellent choice. This user-friendly tool is free and enables businesses to accept and process payments both in-store and even on-the-go, for both iOS or Android gadgets. Aside from an integrated magstripe reader for debit and credit card payment processing, Square also offers other functionalities such as inventory and sales tracking in real time as well as item management. Aside from those mentioned, Square is also capable of splitting single bill items into multiple tickets. To help you cut down staff error and accelerate checkout by limiting staff view of tickets and tips to only those assigned to them. Ticket ownership is transferable, allowing for correct reporting of tips and sales. Authorization slips are no longer required to be reprinted for customers to add tips and sign. This promotes a paperless environment, which reduces your establishment’s carbon footprint. Square offers an excellent free trial for 30 days so you can readily know if this solution is the POS you’re looking for. You can sign up for Square free trial here. Square is free. You can download it at no cost from GooglePlay and App Store, install in either Android or iOS devices, and use it in-store or on-the-go. With a Square magstripe reader. This tool enables the app to receive and handle payments using credit or debit cards, straight from your mobile gadget. It offers added functionalities. Square also works as an item management app as well as a real-time inventory and sales tracker. It has analytics and reporting. It provides valuable business insights from its smart analytics and intelligence reports, which help businesses arrive at sound business decisions. It is updated regularly. The team behind Square works to constantly come up with new updates that are automatically applied to the platform. This means continued efficiency for your business. POS platform Sapaad is a powerful solution that is popular among restaurant owners. This easy-to-use software has become the go-to tool for restaurant owners in Dubai, owing to its numerous features and regular updates. It is a cloud-deployed system that is flexible enough to cater to not only large establishments but small cafes as well. What’s good about the app is its ability to better organize kitchens, which results in better sales and client loyalty. Restaurants that take online, walk-in, dine in, delivery and take-away orders can greatly benefit from using the product. This intuitive solution is both easy to set up and use as everything is done automatically. What’s even better is that Sapaad does not require servers or costly IT teams to maintain, allowing your business to grow. Its flexible pricing makes it ideal for small businesses, along with the fact that it does not come with setup costs, hidden fees or expensive licenses. You can easily sign up for a free Sapaad trial here. What is unique about Sapaad? It has an offline mode. You don’t have to worry if you get disconnected from the Internet. The software makes sure your operation does not get disrupted in the absence of connectivity. It has a call center module. The software makes phone ordering simple while tracking deliveries. It also maintains a comprehensive database of customers, which includes data like order history, customer addresses and preferences. Inventory and back office management. Powerful inventory management features allow you to minimize food costs, receive inventory and send purchase orders. Stock cost and movement can likewise be tracked in real-time. POS platform Oracle Food and Beverage caters to all types and size of restaurants, sports and entertainment businesses and hotels. This tool comes with a powerful feature set that is meant to increase productivity, boost service and enhance efficiency. With the system, all relevant users, customers included, get to enjoy richer experiences, which is accomplished using technologies such as mobile optimization and analytics. Prominent features include omnichannel delivery, integrated POS, cost control, kiosks and yes, even kitchen management. Using the solution is quite easy and does not require a steep learning curve. It centralizes management of your establishment while being able to easily work with any opportunity or concept. What’s Unique About Oracle Food and Beverage? It’s a fully integrated POS. As it is a fully-integrated SOS platform, Oracle Food and Beverage is able to accelerate transactions, making sure that they are all accurately conducted. It is also able to provide a richer user experience while reducing costs by providing reporting and back-office functionalities. Improves kitchen operations. The solution comes with a Kitchen system that effectively simplifies your kitchen processes. It boosts kitchen service and food quality while decreasing room for errors. Reporting and analytics. Oracle Food and Beverage is not your average POS. It comes with powerful analytics and reporting tools that keep tabs on your restaurant’s performance. This provides clear visibility into your operations, which lets you make sound decisions. An eCommerce platform designed for modern companies, Miva Merchant is a feature-rich system that gives you great value for your money. It is a popular tool among large organizations across the United States, most of which are online sellers. However, it also suits small sellers, providing them with great maintenance service and support. The system can be customized to suit your needs and is ideal for businesses who do selling for a living. It basically sets up and runs your online store for you so that you need not worry about the nitty gritty of eCommerce. What’s Unique About Miva Merchant? All-in-one eCommerce platform. Miva Merchant’s popularity among online sellers speaks for itself. It effectively aids in the development of your eCommerce business and provides the needed support and maintenance associated with running one. It is also a scalable system that suits any size of business. Highly-customizable tool. The solution does not distinguish between business types. You can be selling furniture, books or even running a pharmacy and the system will still work for you. It likewise makes product searching easier for your customers as the app comes with extensive search features and libraries. SEO optimization. Miva Merchant is able to improve your Google search ranking. Its indexing and SEO tools make sure that your business is ahead of the competition. You can easily create URLs for use in linking webpages to your site. Integrated POS solution Clover is designed to cater to small and medium-sized restaurants, helping them manage their inventories, staff and edit menus. The system comes with customized hardware and can be deployed on-premise or accessed through a browser. It is a user-friendly solution that sports a sleek and full-featured interface, which can be accessed from any device. It also generates reports that offer companies valuable insights that can be used in coming up with sound decisions. Clover is capable of processing both debit and credit card payments and those made through Apple Pay. It is known for its ease-of-use while making an easy task of inventory management using its numerous tools. You can track product performance thanks to the system’s ability to edit product info. It lets you identify high-selling items by keeping a record of credit, payment and promotion data. The app also makes use of technologies that make order printing, promotion and loyalty program creation, and menu editing all possible from a single console. What is unique about Clover? It gets rid of the need for additional hardware. Clover is equipped with technologies that allow you to process credit and debit card payments. This is because the system eliminates the need for equipment like cash registers, terminals, label and receipt printers and barcode scanners. It lets you manage employees. The solution makes it easy to monitor employees, manage shifts and tips while giving relevant people access to the system. It is a total POS platform. The software allows users to edit product information, manage inventory, print orders and create loyalty programs–all from a single solution. Lavu is a popular POS software that is designed specifically for bars and restaurants, helping them address complications arising from order confusion, slow service and unclear sales data. Using the system, restaurateurs can take control of their operations with employees adhering to topnotch service standards. These are made possible by the app’s simple but powerful interface, central information hub and process streamlining capability. More features accompany the platform, which not only improve the sales but also boost restaurant processes like menu layout customization, staff training and order taking. HR functions are likewise supported, including staff onboarding and training. Technology plays a big part in the software’s benefits as it makes use of top-of-the-line hardware and tech such as self-service kiosks and digital menu boards. What is unique about Lavu? It helps manage labor and inventory. You can significantly reduce your overhead by enriching your understanding of labor and inventory. Streamlining processes associated with ordering and payment can save costs and even increase revenue. It enriches customer experience. Because the platform has the ability to speed up your processes and cut waiting times, customers get to have richer experience and therefore, improved satisfaction, which result in repeat business. It makes payment processing easier. Lavu can accept and process payments made through channels like contactless payment methods, magnetic strip cards and chip cards, making the payment process a breeze not only for users but for customers as well. Salesforce Commerce Cloud provides a host of helpful POS capabilities such as digital commerce, mobile-first POS and store operations, predictive analytics, and order management. Online sellers can use this platform to rationalize their businesses for enhanced efficiencies. Salesforce Commerce Cloud’s Einstein Predictive Sort feature lets you use customer info to cut customer product search time, resulting in more conversions. Fulfillment costs are also reduced and delivery times are accelerated with the tool’s Commerce Cloud Order Management functionality. It serves as a central data hub, helping agents handle updates, exchanges and returns regardless of where an order was originally placed. Finally, the system comes with mobile APIs that enable you to further enrich customer experience. What is unique about Salesforce Commerce Cloud? Nonstop innovation. The app is regularly upgraded to around eight times annually, resulting in enhancements and new functionalities for you, without making any disruption to your daily activities. Shared revenue approach. Shared success is the business model used by this app, where the vendor is completely engaged to help you develop and achieve success. Dynamic community. Businesses can collaborate and benefit with a huge, dynamic online community of Salesforce users who actively share their experiences, success stories, and valuable insights. Robust platform. This solution is a comprehensive platform that integrates robust capabilities for end-to-end business activities, resulting in accelerated time to value creation. Lightspeed Retail is a web-based POS platform designed primarily for retailers’ use. Accessible from anywhere 24/7, this POS solution is ideal for multi-store and single shop businesses. Users will appreciate its various features such as jobs and timesheet capabilities, invoicing, quoting and ordering tools, robust reporting capabilities, and inventory management function. Lightspeed Retail allows users to shift from dealing with sales to management easily. More functionalities come with the platform. Its inventory tracking capabilities offer you visibility into your inventory wherever they may be while accelerating movement of your products. Purchases are also centralized, allowing you to resupply any of your locations at the same time. It can also generate detailed reports so that you get clear visibility into all areas of your operations, enabling you to make data-driven decisions. Lastly, you only need to click a button to transfer products across locations, helping you increase sales and better serve your customers. What is unique about Lightspeed Retail? Not just a cash register. Users will receive a complete POS system that can also deal with inventory, customer relationship, and day-to-day sales functions. Designed for retail and restaurant operation. Perfect for retailers and restaurant owners with store management and floor administration functionalities, etc. Omnichannel retailing. Sell online or in-store, you can take advantage of a comprehensive eCommerce solution that allows you to run your store 24/7 the whole year. Marketing capabilities. You can use a wide array of marketing functionalities such as built-in A/B testing, client feedback, social media integration, blogging system, and SEO tools. AB POS a powerful, feature-rich POS geared towards businesses in the hospitality and retail industry. The software provides all the tools needed to streamline one’s front and back office workflows, which drastically alleviates the complexities that come with running a business. Monitoring orders, tracking inventory, viewing reports, applying discounts, and other functionalities are easily accessed through a single dashboard. AB POS has more features to offer, helping SMBs grow by automating their sales transactions. Store reporting is easy with the tool, generating detailed reports with the use of custom groupings and filters that can be applied to the whole organization. Its smart dashboards make use of graphs and charts to provide users with a snapshot of their operations, giving them an idea of how their businesses are performing. The system also stores operational data across companies, which can be used for analytics and business intelligence processes. And since it is cloud-based stores can be set up remotely with new employees easily managed along with changes in floor plans, menus and prices. What makes AB POS unique? It’s a total POS solution. AB POS possesses all the latest POS features and technologies that you need to help boost your sales processes. These include menu creation, menu editing, staff scheduling and sales and orders management. It makes payments simple and secure. The solution uses top-of-the-line security technologies so that you can be assured that your data stays secure. Its support of different payment systems like Mastercard, Visa and Europay makes it easy for both you and your customers to manage payments. It gives you access to business intelligence via cloud. The platform’s Cloud Portal provides you with access to BI, which helps you make sense of your data. It likewise generates easy-to-understand data and KPIs. Designed to make online selling a lot easier for you, Webnexs POS helps boost the efficiency of online stores, big and small. At the heart of this system are features that include invoicing, accounting, and inventory management that aids in managing your online store. So you want to link your physical store with your online store? Well, look no further as the software is able to do just that and more. It can manage inventory and monitor your stocks, allowing you to meet customer demand. What’s Unique About Webnexs POS? Link your physical with your online store. Being able to sync your physical store with your online selling place allows you to cover more ground and sell your products everywhere at any given time. This results in increased sales and ultimately, improved profits. Business visibility. Webnexs POS gives you an overview of your business the minute you start using the system. This provides you with a snapshot of how your company is performing, a forecast of things to come and even an idea of how to increase your sales. Accelerated transactions. The speed by which you conduct transactions is critical to the success of online selling. This ensures faster sales while improving customer experience with shorter order times. A feature-rich POS solution designed to run on iPad, ShopKeep is ideal for use by food establishments, retailers, bars and other businesses. It is a cloud-deployed system that is not limited to being a POS tool. It can help you handle other processes like marketing, bookings, inventory, staff, and registrations. The app is easy and quick to deploy and comes with a user-friendly interface, which can speed up sales transactions, allowing you to keep up with long customer queues. Credit card payment processing. ShopKeep has a native credit card processor so that you do not have to set up your own system. A third-party card processor integration option is also available for users who have external merchant accounts. Customer information collection. The software can gather customer information, which can be used in email marketing. It also helps you better understand clients, which can enhance customer relationships. Where Is POS Software Headed? 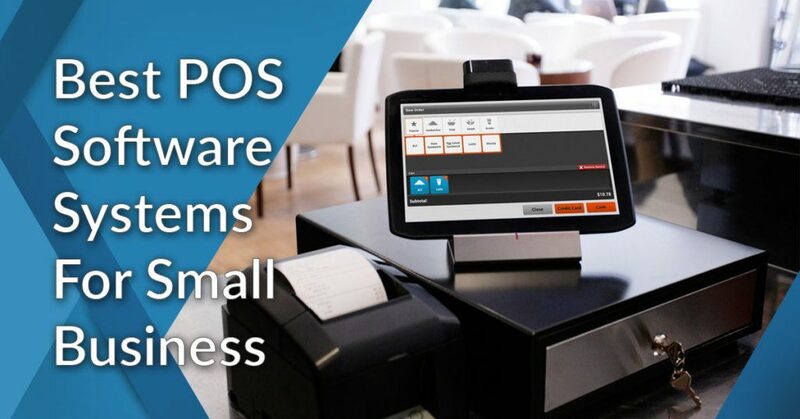 POS software has indeed benefited small businesses, from brick-and-mortar stores to online sellers, revolutionizing the way these companies manage their sales transactions. By giving users the gift of automation, these platforms have gotten rid of the need to spend hours on redundant sales processes, allowing users to focus on more important matters. POS systems have also been taking over processes that have traditionally been the turf of third-party applications. But most importantly, POS software has been helping customers by accelerating the sales process and contributing to customer experience, whose benefits goes both ways. In this regard, Toast continues to lead the pack with its robust features and unparalleled benefits. You can find out more about its features if you sign up for Toast free demo here. With all these benefits now at your fingertips, one can’t help but wonder what’s in store for these systems in the near future. For restaurants, POS software is seen to continue to harness the power of the cloud as doing so makes them accessible anytime, anywhere. It is also seen as the preferred deployment method of many businesses owing to the low price tags that come with cloud-based tools. And then there is the projected increase in the use of self-service kiosks, not only by restaurants but among retailers as well. These benefits and more make these products very appealing to SMBs, helping them on their path to profitability and growth. So it’s no wonder that these tools continue to gain traction in this niche market.  I gave Vend a look, you mentioned that it can be used both online and offline. I’m not exactly sure how that works, can you also tell me if it applies to the free plan as well? If not, are there other services on this list I should consider? Much appreciated! Vend is an excellent alternative – it is beautifully crafted, easy to use, painless to connect – and foremost – it works in Offline Mode! What this means is that You will be able to process sales even if your internet connection goes down. Two minutes after the connection has dropped, you will get a dedicated Offline Mode banner with instructions how to proceed, and all the work you’ve done prior to it will be successfully saved. Note that this will only happen when you’re logged into the system with a valid account, and in case you’ve completed the initial sync. Using Vend in Offline Mode, you will have access to your current sales (cash, layby, and on-account); you will be able to add customers, accept orders, and view product information. The Offline Mode will not let you process integrated payments, edit & remove current customer profiles, or to discard and park sales. Once your Internet connection is back on, you may get an ‘Errored sales’ status, but you can solve this problem easily by clicking on ‘Retry errored sales’, and syncing the work you completed offline. Similar solutions you should consider are Webnexs POS, Retail POS, and Merchant Maverick. I know TouchBistro, got some excellent recommendations on it, but unfortunately can’t afford it at this point of time. I’m still looking for a solution, but I’m not sure how smart it would be to invest in a custom POS just because it is cheaper. I’d certainly get a restaurant-exclusive one, as long as it fits my budget. Any suggestions in mind? TouchBistro is certainly a good place to look, as it compiles all vital functions of a smart restaurant POS. Their pricing starts at $69/month for a single license (SOLO plan), and you can use it to manage all POS operations excluding support for multiple terminals. Another restriction is that TouchBistro is devoted only to iPad users. A restaurant-friendly POS on this list that works on all devices is Toast POS, but keep in mind that pricing begins at $100/month. No need to worry, though. The good news is you can always find a different restaurant POS solution, either as a standalone product, or bundled within a larger venue management kit with multiple attractive functionalities. For more information, please visit our Best Restaurant Management Software page, and you will certainly find a product that works for you. An option is also to try a more affordable ‘one-size-fits-all’ POS and customize it to your needs. Looking up the list, we’d draw your attention particularly to Square Register (flexible and free to use) and QuickBooks POS (starts at $19.95 a month; integrates easily with your accounting system). For more ideas, check our Best POS Software list. We went with Lightspeed POS and we have been pretty happy with this, there is one REALLY big drawback for small retailers. Lightspeed will automatically add quantities of inventory to your “out of stock” inventory. This becomes a problem when selling your items on Ebay or Amazon Lightspeed will continue to sell items that you no longer have. This will force you to cancel orders and of course Ebay and Amazon are very unhappy with Seller who cancel orders repeatedly. We have been told that development is working towards a fix that will allow users to turn off this feature, great right? but it could take up to 6 months before it is rolled out. By that time Amazon and Ebay may have closed us down. No one there seems to understand the urgency of this issue. Very frustrated and disappointed. Good post. i think this is quite informative and does cover quite a few good options for those looking for POS systems and software. Vend is quite a good choice and one that I have some good experience with. It also integrates rather well with Xero, so perfect if you’re already using Xero for payroll, etc. Thanks for sharing your views and advice!